Communicate, share, and update from anywhere with XMission's Email and Collaboration services. Powered by Zimbra. Pay for only the mailboxes you need without requiring expensive hardware, licensing, or IT staff. An excellent mail server alternative! XMission provides you with everything you need for success: email, contact management, calendaring, document collaboration, search, and more. Our support of open standards and open source means your service will continue to improve—all thanks to the Zimbra community. Add features from third-party applications and services such as Anymeeting, Salesforce, OpenERP, Google Maps, and more. 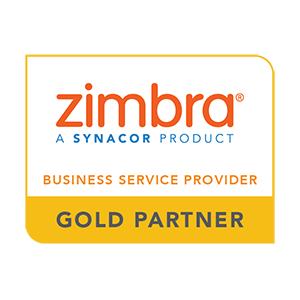 Zimbra integrates with Cisco and Mitel US solutions and supports click2call, voicemail, presence, and more. For new customers, the setup takes about five minutes. For transferring customers, the timing can vary, but XMission will make your transition as painless and seamless as possible. Is migration easy? What tools are available? Using the ZCS Migration Wizards, XMission does most of the work for you, making your transition very easy. These tools work for MS Exchange, Lotus Domino, and Novel GroupWise. XMission can also provide enterprise customers with custom on-boarding to meet their needs. Does it work with Outlook? Absolutely, the Zimbra Connector for Microsoft Outlook supports most versions (32 and 64 bit). There is no Connector available for Outlook for Mac. Zimbra works with Mac Mail, iCal, and Address Book. Does it work with Mac applications? Yes. It does work with your favorite Mac apps including: Mail, iCal (CalDAV), and Contacts (CardDAV). What about archival & discovery for my office? XMission offers Archival & Discovery services for Zimbra customers. Activate your entire domain or just a few mail accounts. Simply contact your sales representative or email sales@xmission.com to add the service. Can I use it on my smart phone or tablet? Yes. You can access all of your favorite Zimbra features from almost any device via your mobile web browser. Plus, Zimbra integrates and syncs natively with popular mail, contacts, and calendars applications. iOS/Android applications can benefit from Zimbra's support for Open Standards as well by using CalDAV and CardDAV in addition to, or instead of, Activesync. When and how can I reach technical support? 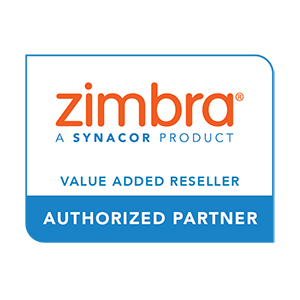 We also offer Zimbra documentation on our support wiki if you prefer to self-educate. Can I mix and match account types? Yes. Once you have purchased your first Zimbra account from our store, you can add (and subtract) as many Base and Premium accounts as you like via our administrative interface. You can create or request small mashup applications (Zimlets) that perform tasks specifically for your business. What version of Zimbra do you run? Currently, we run Zimbra 8.6. Trust our professional support team to keep you connected around-the-clock. We'll take care of your cloud email systems so you can focus on what you do best: caring for your customers. Forget about purchasing and maintaining costly, on-premise mail servers. XMission owns, monitors, and administrates your complete, hosted email solution. You will never pay for upgrades, licensing, or expensive Exchange consultants again! Increase (or decrease) accounts as your business expands. Or, upgrade existing accounts to increase collaboration functionality via our easy-to-use administrative interface. Whether your business requires one account or 10,000 accounts, XMission has the capacity to handle any-sized business. XMission's Email & Collaboration services utilize the powerful Zimbra Collaboration platform. This enterprise platform allows XMission to deliver the latest cloud email, calendar, and collaboration capabilities right to your desktop, laptop, or mobile device. Ready to utilize the power of cloud email? Get started now!